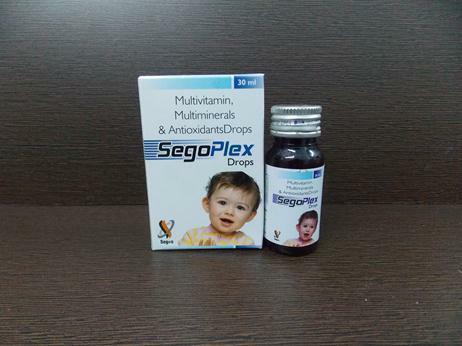 Segos Biocare is a well established pharma company who engaged in supplying as well as marketing a comprehensive range of Tablets, Capsules, Syrups and Injectables. We procure our range from the most reliable and trusted industrial vendors that we have selected on the basis of their business experience, market credibility as well as goodwill in the industry. We do not compromise in terms of excellence, therefore follow various quality testing measures in our operations. This further helps us to deliver quality tested and effective range in the market. Besides, to make easy and hassle free transaction of money, we provide convenient payment options to the clients, which includes DD, Cheque and Cash. All our business related task and activities are carried out under the astute guiding principles of, Mr. Varun Puri. Their vast business expertise and excellent managerial skills have helped us in performing our task in best possible manner and meeting the exact requirements of our esteemed clients. Our company has developed a spacious and sophisticated warehousing department, equipped with all requisite and essential facilities for safe storage of the consignment. We have divided our warehouse into different other sections, which are skillfully managed by our specialized experts. Further, our experts keep a proper record of incoming and outgoing of the products. Apart from this, we have a sound packaging department, where each and every product is hygienically packed by our packaging experts. This further enables us to protect our range from any external flaw during transit. Backed by a team of practiced and qualified experts, our company is capable of serving the various requirements of clients in an efficient manner. We have selected our team after carrying out a strict recruitment process wherein their knowledge base, efficiency and skills are efficiently monitored. Team working in our organization consists of quality controllers, administrative personnel, research & development personnel, sales & marketing experts, logistics experts and many others. After selecting our team, we conduct frequent training and skill enhancement programs for them. This enables them to serve the diverse needs of clients proficiently.